Proponents argue that the benefit is clear. If you make it easier for people to show up to the polls by saying they don't have to work, more people will, strengthening our democracy with greater civic participation. Yet it has proved exceedingly difficult to make Election Day a paid holiday nationwide, despite lawmakers' various attempts. Sandusky's solution was simple: Swap city workers' Columbus Day holiday with the first Tuesday after Nov. 1. The move will affect all municipal workers. 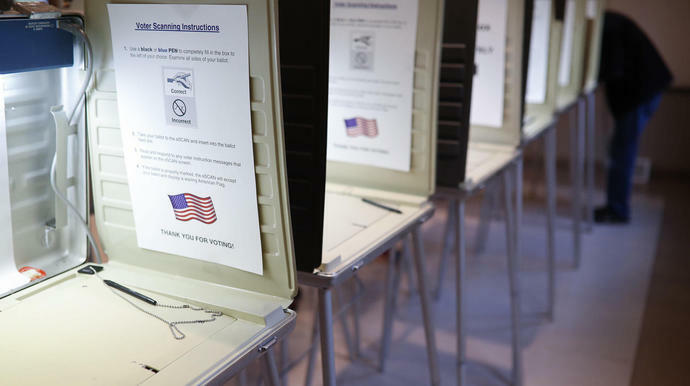 "We are swapping them to prioritize voting day as a day off so that our employees can vote," City Manager Eric Wobser told the Sandusky Register. He added: "It's also because Columbus Day has become controversial, and many cities have eliminated it as a holiday." Negotiating the swap with workers' unions was only a bit tricky, Wobser told NPR. Union leaders expressed some hesitation because people generally prefer a three-day weekend versus a day off in the middle of the workweek. (Election Day is on a Tuesday thanks to 19th century farmers.) They agreed, though, after understanding the civic benefits, according to NPR. "A lot's happened in the last three years that had us thinking a lot about voter access and democracy, and so we thought it was a really natural switch," the city manager said. Compared with other developed nations, voter turnout in the United States is not great. But it wasn't always that way. According to University of Massachusetts professor Holly Jackson, Election Day used to be public feast days where nearly everyone turned up in their best clothing to eat, drink, talk politics and, for those who could, cast ballots.